Is your home or business in need of new flooring? Tired of spending hours visiting various showrooms trying to find the ideal flooring option for your home? 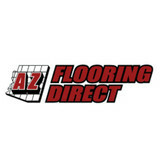 At Arizona Flooring Direct, we have years of experience providing high-quality flooring options for our neighbors in Scottsdale, Phoenix, and the surrounding areas. We have been awarded Best of Scottsdale for the past four years in a row by Scottsdale Living Magazine and can provide all your flooring needs at a reasonable price. From natural stone to vinyl and hardwood, our company has a vast inventory of popular flooring options for you to choose from. To request a free in-home estimate, please reach out to our store today by calling (480) 648-0472 or (602) 357-6975! 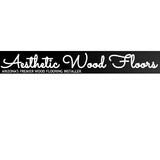 Aesthetic Wood Floors is the premier wood flooring installer of Arizona with over ten years of experience installing wood floors throughout the valley. We specialize in high pressure laminates, hand-pulled flooring, cork flooring, prefinished parquet, and bamboo. 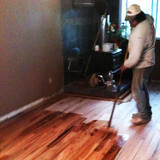 Have an Aesthetic Wood Floor installed in your home or business for as little as $2.00 a square foot. Scottsdale Flooring provides a wide range of carpet, tile, laminate and hardwood flooring options for residential and commercial customers in and around Scottsdale Arizona. 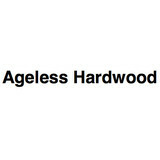 Solid wood is milled from a single 3/4″ thick piece of hardwood. Because of its thickness, a solid hardwood floor can be sanded and refinished over several generations of use. Solid wood flooring expands and contracts with changes in your home’s relative humidity. Normally, installers compensate for this movement by leaving an expansion gap between the floor and the wall. Base molding or quarter round is traditionally used to hide the extra space. Our collection of ceramic and porcelain tiles come in a variety of colors, styles, shapes, and sizes. The low maintenance and durability makes tile a great choice and beautiful upgrade for your home. We carry a large selection of quality name brand carpet and padding in a variety of styles, textures, colors and grades that will add comfort, warmth and beauty to your home. For more than 20 years we have been building trust with our clients. This is due to our extraordinary Midwest work ethic, honesty and ability to do what is right for our customers. Floortec is not your typical Epoxy flooring company. We take pride in our opportunities and provide multiple levels of installations. Technology has come a long way since the beginning of Epoxy and that is what makes Floortec so unique. We use the latest technologies to provide a product that will last fifteen to twenty years. Liberty Enterprise is Mesa's number one choice for all of your flooring needs! Contact us today to find out why! When it comes to Flooring, Interior Remodeling and Counter tops, no one compares to Lux Group LLC. With years of combined experience, Lux Group LLC has worked hard to build the trust of our clients in Tempe, Scottsdale and Pheonix and beyond. Visit our website to learn more. Or better yet, click the link and call us today! Our specialties include Carpet, Hardwood, and Laminate Floors. We take pride in every aspect of flooring that we install. New Hardwood, Engineered or Laminate Flooring is a great way to finish off any construction project. In the Phoenix area, hard surfaced flooring materials like hardwoods and laminates are extremely popular and are pretty much a staple in any new construction projects and many home remodels. Because of their durability and relatively simple maintenance, hardwoods and laminates are also becoming more and more common in businesses such as offices, retail stores, restaurants and more. New flooring isn’t just an upgrade for aesthetic appeal; it’s also a long term investment that will help increase the value of your property. When you have your new flooring installed by a certified professional, you get the benefit of warranties and expert installation that will last for many, many years. Many large flooring retailers resort to using high-pressure sales tactics to meet high sales goals. Our goal is satisfying the customer not making the sale. At Floor Depot, our philosophy is simple. We are committed to providing the customer with all the best flooring materials available at the best prices. 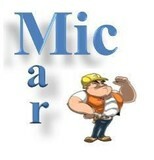 We retail and back the products and manufacturers warranties. Founded in January 2014, we are an elite Hardwood Flooring provider and installer.